Theme Vs Theme Framework in WordPress: Which One Should You Use? As a blogger, you already know that the WordPress theme is responsible for the design and styling details of your blog as it is seen online. For your theme, you can choose the fonts, colors, page layouts, locations for your widgets and other elements, but you are not tinkering with the basic underlying WordPress software. A WordPress theme framework, on the other hand, contains the programming aspect of the theme. It is a set of codes that controls the architecture and functionality of the themes. WordPress is the most popular content managing system (CMS) largely because it has thousands of open source, free, and pretty themes to choose from and it is easy to learn how to use, even for non-developers. They do have premium themes, too, available from third parties, that give you more features and customization options, and regular updates and support. Installing a theme is very easy. You simply log in to your blog, go to your Dashboard, scroll down to Appearance and from the drop-down list, choose Themes. The free themes are customizable; you can do it by tweaking the CSS files and using plugins. The result is a design that’s your own creation, even if the basic theme is used by hundreds of other users. A theme framework is different. It contains almost all the programming in your blog whereas the theme has only minimal codes that allow you to change its design. Look at it as the framework being the parent and the theme its child. A theme framework has lots of functionalities built into it, like a library containing codes instead of books. Using it requires much less effort than creating custom codes for different functionalities in the theme. With free WordPress themes, you don’t get the framework. But its ease of use makes it an excellent choice for newbie bloggers who have only a modicum of programming skills and who are on a budget. So you get a free theme for your blog which has already gone through a strict process review before it is approved for use by the public. You can use it right away without going through a tedious training process. But customization capabilities are limited and with hundreds of other users downloading the same theme, it’s nearly impossible to make your chosen theme unique. Without the obstacle of paying for a theme, and with repetitious features, you’ll soon find that your customization attempts are actually recurrent in gazillions of other blogs. Free themes are not updated regularly so they might not be compatible with updates of WordPress CMS. And you can’t expect support from WordPress itself as there are too many users of their free themes to keep track of. If you’re serious about your blog, and you’re in it for the long term, shift to having a theme framework for your site’s foundation. You don’t have to start from scratch either. If you want to retain the look of your existing blog so as not to confuse your followers, you can easily re-create it with a child theme and use a framework. The downside to using a theme framework is the learning curve that comes with it. If you’re unsure of your capability and don’t want to spend a copious number of hours trying to understand it, there’s a way around that too. Simply get the services of a custom software development company that has professionals who can help you. But the advantages substantially outweigh any doubts you may have. Using a theme framework gives you many features and options. You can update without difficulty, or migrate to a different child theme. Frameworks also have tools and plugins that may not be available if you’re using a standard theme. Choose a framework that places paramount importance on security. And with the abundance of platforms in use, a framework that has responsive design is a necessary feature. 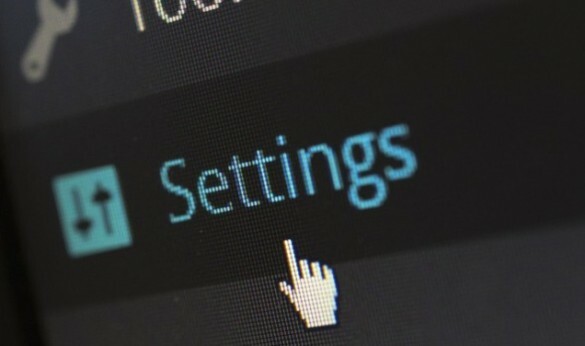 If you are constantly changing codes and themes, you should get one too, to ensure that your site is stable, and its functionality is not affected. Savvy WordPress users are turning to frameworks as the foundation for their blogs. Don’t you think it’s time you did? I created a child theme on my blog to change some parts like removing dates from posts or setting author name to link to “Abour me” page, etc. But, I’m a little bit confused. Does creating a child theme represent a framework?